Wednesday marks the unofficial start of the college football season for us here in ACC country. It’s a lean time of the year for college sports but conference media days is a thirst quenching event for all avid fans. Coach Petrino will have WR Jaylen Smith and LB Jonathan Greenard with him at the 2018 ACC Football Kickoff, July 18-19, at The Westin Charlotte in Charlotte, North Carolina. Two great players that will certainly play a major role in the Cardinals success in year five of the conference. 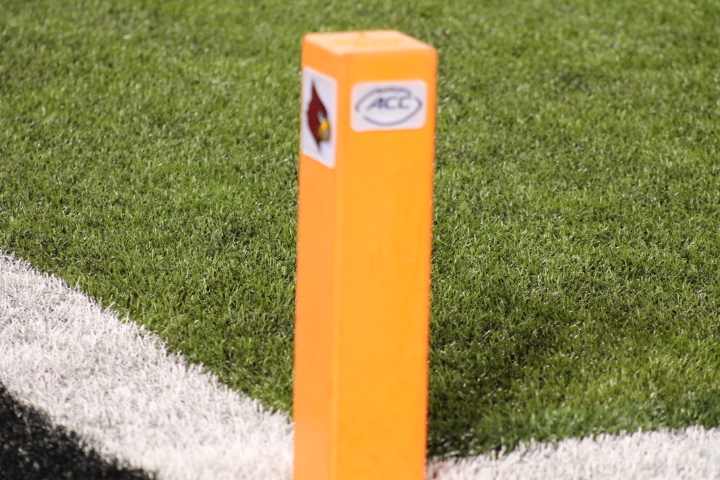 Coach Petrino and the Cardinals are 21-11 heading into year five of ACC play. There will be a few more questions heading into this season than in seasons past. Who will step up and fill the roles left by guys like Reggie and Lamar? How will life without Lamar look? You don’t replace that. And who is ready to step up and bring the pop for Coach VanGorder on defense. I expect these to be a few of the many asked over the next three days. Senior Wide Receiver Jaylen Smith will be one of eleven student-athletes at ACC media days who were chosen first-, second- or third-team All-ACC in 2017. He will also be one of 7 returning starters on the offensive side of the football for the Cardinals. He had 980 yards with 7 touchdowns and became a highlight reel catching some long passes from Lamar Jackson. He averaged over 16 yards a catch in 2017. Jaylen will highlight a very talented Louisville receiving corps. He is sure to be a big target for the Puma this season. The Louisville defense lost seven players. A lot of tackles and a whole lot of heart graduated last year. One of five returning starters on defense and next man up is Jonathan Greenard. Greenard led the team with 15.5 tackles for loss and tied for team honors with 7.0 sacks in 2017. He finished 32nd nationally in tackles for loss and 47th in sacks… James Hearns was nasty at that linebacker spot. He will be missed. But Geenard could help fill some of that void. Seven of the returning starters on the offensive side of the ball is on the offensive line. Big, athletic and quick on their feet this will be our best group up front in a long time. Coach Summers has those guys ready to win those battles in the trenches. That and a young hungry and talented group of defensive players has me optimistic about year five in the ACC. The first four years of this great conference has been a blast. I’ve been on many cool adventures and watched a helluva lot of good football. I’m looking forward to another season of that. You can watch all the happenings at ACC media days on the ACC KICKOFF PAGE. The Coastal Side of the conference will be at the podium on Wednesday. The Atlantic side will get the spotlight on Thursday. Coach Petrino and the guys are up from 11:30 am till noon on Thursday.